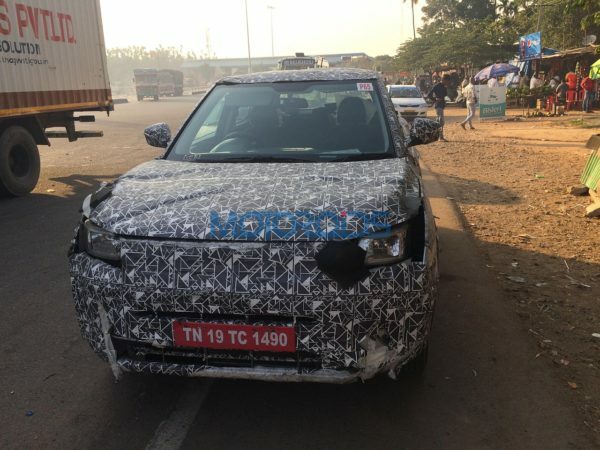 The Maruti Suzuki Brezza rival Mahindra S201 compact SUV is inching closer to the production line as new spy images reveal a test mule equipped with production spec components like the tail light and allow wheels. 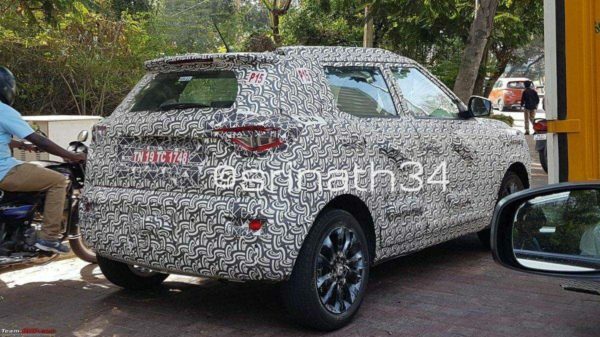 The latest spy image capture what appears to be the range topping version of the upcoming Mahindra compact SUV. The new spy image reveals a sharp tail light design (most likely LEDs), rear spoiler with integrated light, alloy wheels, and roof rails. As reported earlier, the Mahindra S201 based compact SUV will share its underpinnings with SsangYong Tivoli. The compact SUV will most likely arrive in five-seater version while a seven-seater version may follow later. Interior are expected to feature premium features such as touchscreen infotainment system which will most likely be Android Auto and Apple CarPlay compatible, rain sensing wipers, and a sunroof. Mechanical details are scarce although rumours suggest that the compact SUV will gets a 1.2-litre, 3-cylinder petrol and 1.5-litre, 3-cylinder diesel engines. The petrol powered version will gets a maximum power output of 140PS while the oil burner will be tuned for 100PS. Both variants are expected to receive manual and automatic transmission options. We expect to see the production spec version of the Mahindra S201 compact SUV in the second half of 2018.